You’ll not only fall in love with this free pattern for an easy men’s crochet scarf but also the Lion Brand Color Made Easy yarn. I don’t know about you, but I like big scarves. Like giant, over-sized, super scarves. If it’s a huge infinity scarf, even better! But I can’t just make all the scarves or scarf patterns for me and I know there are people out there who prefer thinner, smaller scarves. I assume those people are guys but I really have ZERO data to back this up. At the very least, I think this makes a great, easy unisex scarf which will look great on a guy or gal. (Some scarves just are not guy-friendly, ya know?) You could also pair it with the Penny Scarf and give it as a great his and her gift. Have you tried Color Made Easy Yarn yet? Color Made Easy Yarn by Lion Brand is an amazing 100% acrylic #5 bulky yarn with a perfect amount of squish. Ever since I found out that Joann’s Big Twist Chunky, which I used in the Easy HDC Blanket was discontinued, I’ve been on the hunt for a similar bulky yarn. I was thrilled when I found Color Made Easy online at Joann’s for a ridiculously inexpensive price for 3 packs, so I placed a huge order, enough for both me and my friend to make blankets and more. When the box came, it was so much smaller than I expected! Whomp Whomp. I should have known the deal was too good to be true. You’ll be happy to know, like I was, that Michael’s has started carrying Color Made Easy in stores. It is so nice to be able to feel a new yarn before you try it and actually see the colors in person. You can also order online directly from Lion Brand where you can get all the colors! The entire scarf is half double crochets but it looks knit! By working up through the third loop, the top two loops get pushed almost horizontally against the fabric. 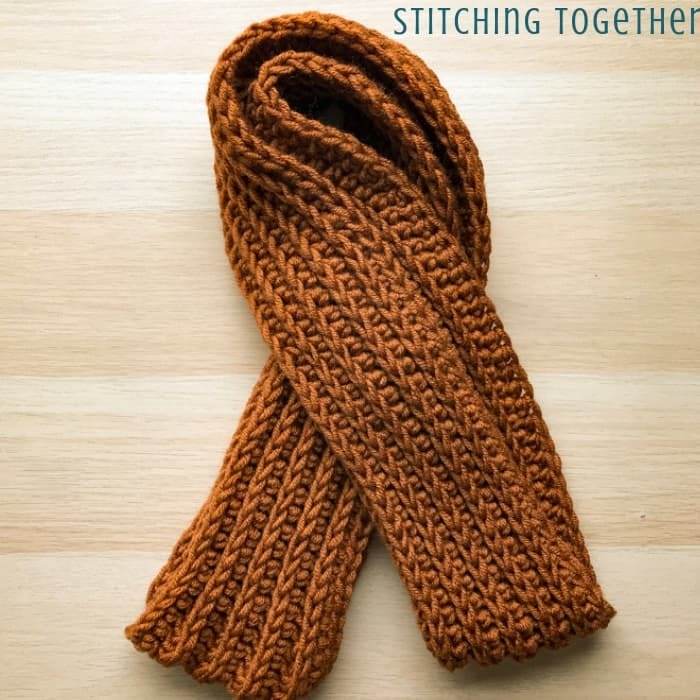 You get knit looking stitches with more texture and squishiness. It only takes one skein! 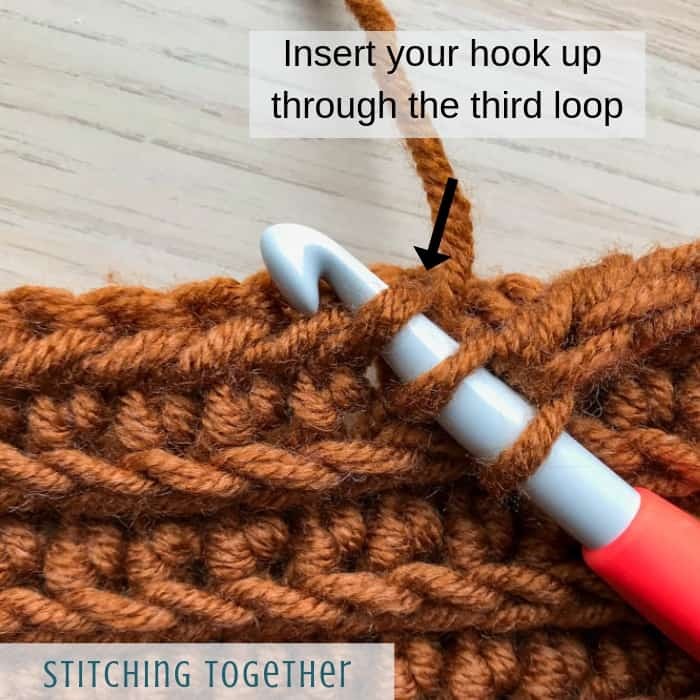 You’ll want to use the same yarn and check your gauge to make sure you only need one skein as I didn’t have much leftover. Or you could easily add one more skein and get a double wide scarf! The scarf is made working lengthwise which means many starting stitches but few rows! 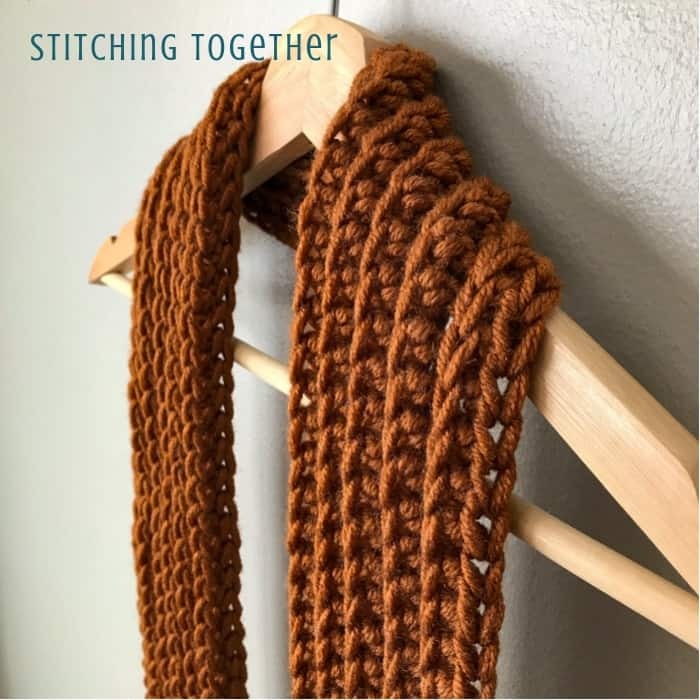 Using a foundation half double crochet will give a stretchier and more flexible base to your scarf than starting with a chain. It helps to have that extra flexibility especially when working across a long length like this scarf. The amazing knit looking texture is made by working up through the third loop of the half double crochet. 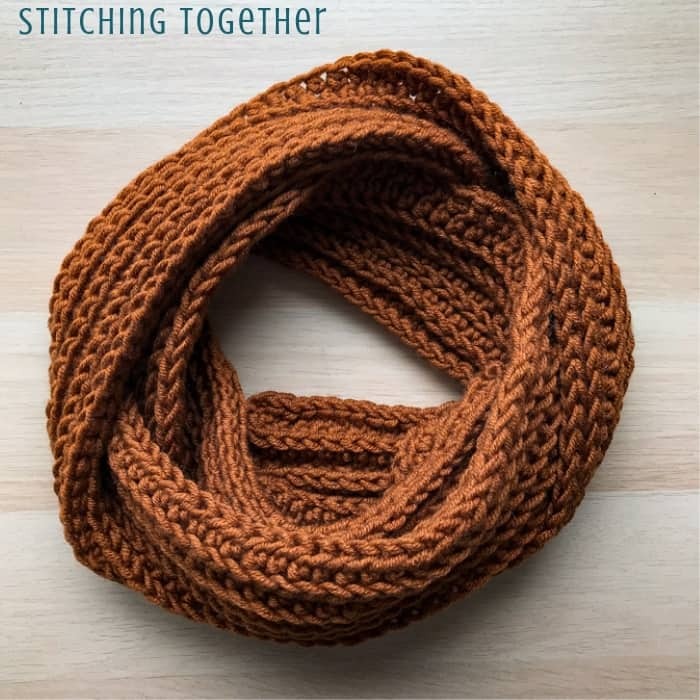 It is the same concept used in the round for the North Shore Scarf, but instead of the third loop being at the backside of the stitches, it is on the front side when working in rows. 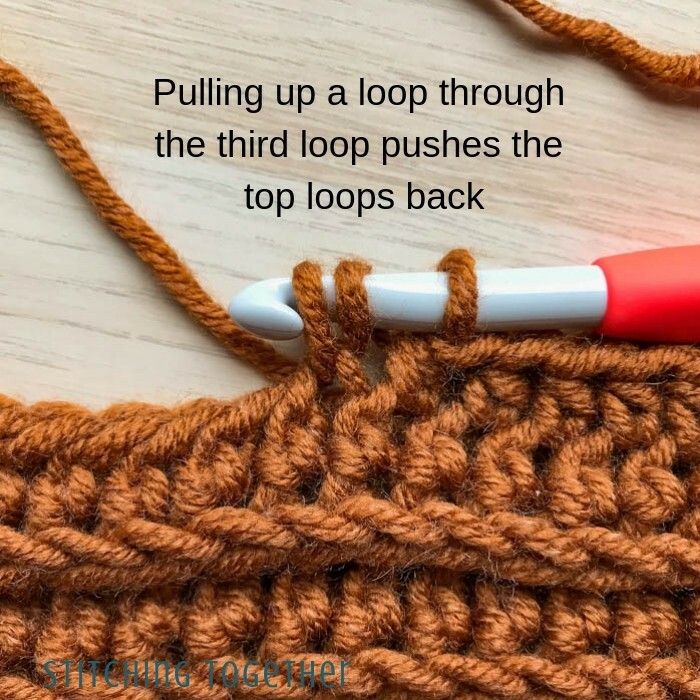 As you work, the top loops of the stitches will start to bend back and you’ll find it easier and quicker to work up through that third loop. R1: fhdc 158 (or ch 159 and hdc in the 2nd ch from hook and each ch across), turn. 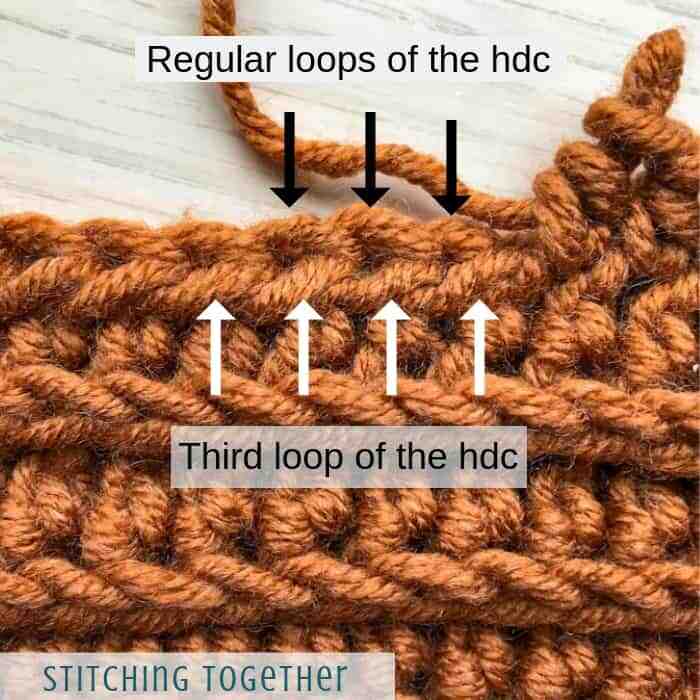 R2: ch 1, Working up through the third loop (see stitch instruction), hdc in each st, turn. Repeat row 2 for a total of 10 rows. Fasten off and weave in ends. 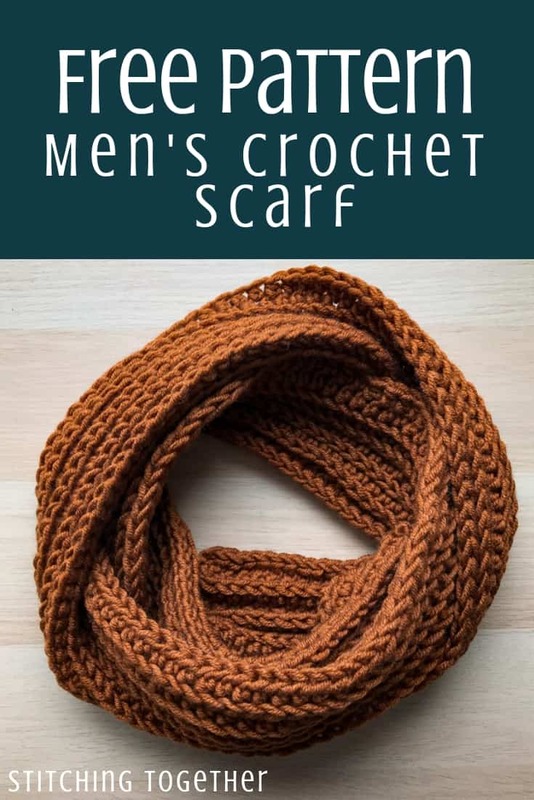 Would you like to see more free men’s crochet scarf patterns? Leave a comment and let me know! Hi Jess, thank you for the men’s scarf pattern. I asked my husband and he said that he didn’t care for bulky scarves. Just regular, not thin feeling and not to wide. Those were his exact words. Lol. And also yes please please, I have such a hard time doing the foundation chains for all the stitches. I’d like help learning foundation stitches please. Thanks for letting me know Julia! I’ll add some tutorials to my to-do list! THIS IS LILY Baker, and yes I would like to see more men’s scarves. I used the moss stitch one u posted around November. I made about six different ones. I love that pattern . I used Hobby Lobby I love this yarn. It’s super soft. We live in Texas. Therefore it doesn’t get that col here.So my family loved them. So keep on posting easy patterns please And thank u so much.. Thanks for your feedback Lily. I always like hearing from you!